Under laboratory circumstances with a constant spatial volumetric concentration Cvs, for coarse particles the bed is sliding with sheet flow, where the thickness of the sheet flow layer increases with an increasing velocity difference between the flow above the bed and the bed, while for fine particles the shear stress on the bed is not high enough to make it start sliding, but more and more particles will be in suspension as the line speed increases. For fine particles the behavior starts following the heterogeneous behavior. 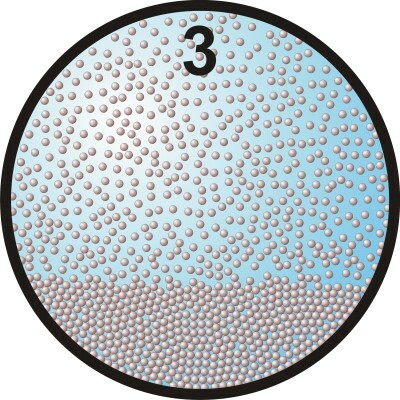 Since coarse particles in sheet flow require an upwards force at least equal to their submerged weight, which results from interparticle forces, an equal downwards force will act on the bed. The result is a total normal force between the bed and the pipe wall of about the submerged weight of the particles. From experiments it appears that this normal force is almost a constant, according to the Newitt et al. <?xml:namespace prefix = "w" ns = "urn:schemas-microsoft-com:office:word" />(1955) model. This vertical force times the friction coefficient μ determines the sliding friction force. 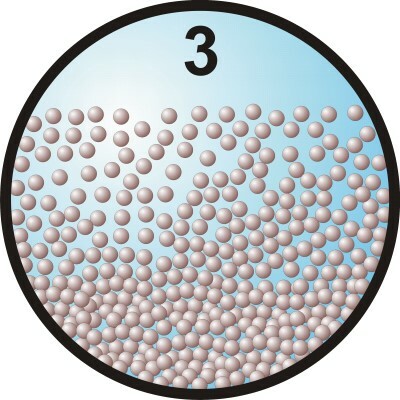 The friction coefficient μ will have a value of about 0.415, but should preferably be determined by experiments, since it is a property of the particles. The Shields parameter is above a critical Shields value, so erosion occurs. The total pressure loss is thus determined by sliding friction between the bed and the pipe wall for coarse particles and by energy losses from collisions for fine particles.